George Whitman died last week in Paris at age 98. I'd spoken with him only once - and for just a few minutes - but he and his bookshop in the shadow of Notre Dame - Shakespeare & Co - had a profound impact on me. Long a devotee of James Joyce, T.S. Eliot, Ezra Pound, and other modernists of the Lost Generation, I'd read much about Shakespeare & Co, so when I found myself in Paris in my early 20's I had to make my way to the store with the storied name, and even though it wasn't Sylvia Beach's original Shakespeare & Co, where Ulysses was first published and a bandaged Hemingway showed off his battle scars from the Spanish Civil War, it was a place that maintained the same ethos and name (with Ms. Beach's blessing, some say) of the original. 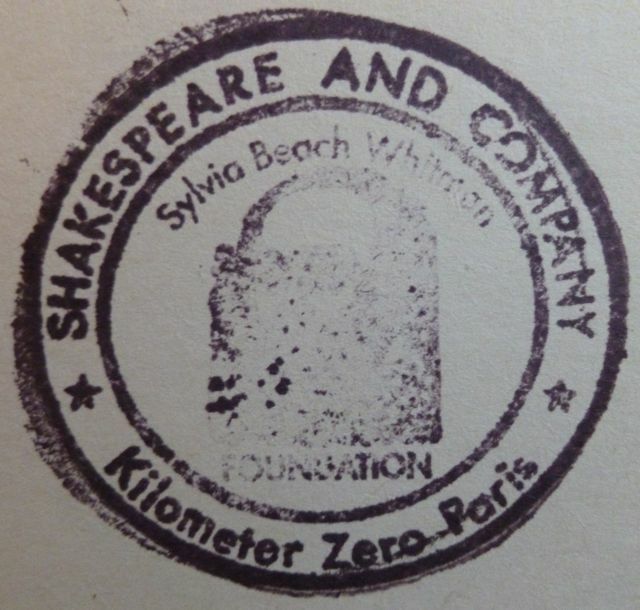 On a grey fall day in the early 90s, while buying off-kilter imprints of At-Swim-Two-Birds and Finnegans Wake, I had a chance to chat with Mr. Whitman as he stamped my books with the iconic kilometer zero ink stamp from the store. The store had just suffered through a fire, and with the smell of damp charcoal in the air, we spoke a bit of Joyce and flame and the literary hostel he maintained in the quarters above the shop. He was a passionate man who devoted himself to art, to words, to exploration, and to spreading the gospel of all three. 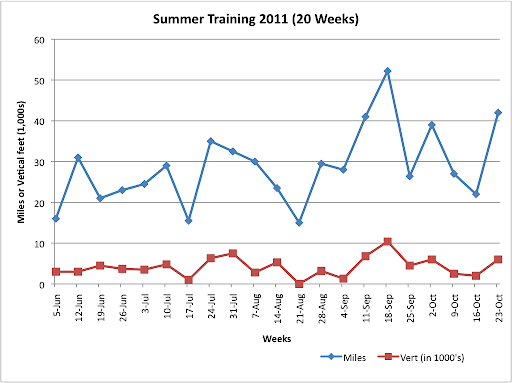 Why write about this here in Run Junkie? To be honest, I'm not quite sure I can explain it very well. But laying in bed the other night shortly after Whitman died and Shakespeare & Co was back in the news, I couldn't help thinking about those indelible experiences we all have in life. Those experiences that really seem to be way points that guide all our future thinking and action. 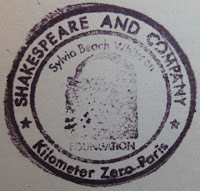 Shakespeare & Co - and the literature and letters that surround it - is certainly one indelible part of my life - the imagery made even stronger by the literal, indelible stamps from the store in some of my favorite books. 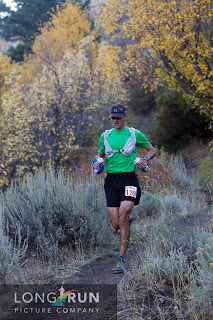 Another indelible part of my life is ultra-running. I've always run, mind you, and it's been something that has always defined me, but it wasn't until I discovered ultra-running that running seemed to actually tap into the archetype of who I was. This is crazy talk to some, I know, but there are others out there who know exactly what I'm talking about. Life is stingy with these indelible experiences, so it's unsurprising that one hearkens to another. And for me, the death of George Whitman was a reminder that grand moments and experiences in life matter. Some are made, some are happenstance - but each is a gift to be savored and built upon - something I'll remind myself of the next time I'm out for 8 hours on the trail or on my 8th day trying to get through the Pisan Cantos.